Peninsula Papagayo is Latin America’s ultimate coastal retreat, offering an unparalleled closeness to nature and a lifetime of adventure in one of the most peaceful and bio-diverse countries in the world—Costa Rica. Home of four World Heritage sites certified by UNESCO and kind, welcoming people eager to share their rich culture. Part sophisticated resort, part primitive playground, this private paradise possesses one of the most extraordinary landscapes and biological corridors on the planet. A dreamlike 1,400-acre canvas of towering bluff tops, tropical forests and miles of uncrowded beaches tumbling out to the sea—all teeming with rare and magical wildlife. Come experience Peninsula Papagayo—a world apart. To experience Peninsula Papagayo is to become powerless under its spell. Infusing this North Pacific corner of Guanacaste is a community of natural wonders, cultural richness and only-here experiences to explore. It’s your gateway to a country that harbors 12 major life zones, 500,000 species and 5% of the life forms found on the planet. It’s peaceful, happy people who teach the language of pura vida, pure life—the gift of grace that’s all about living in the moment. Your journey begins here. Stimulate your senses and revitalize your spirits. Inspired by the local flora and fauna, Andaz Costa Rica Resort at Peninsula Papagayo reflects the indigenous nature of Costa Rica with the uncomplicated and personalized service associated with the Andaz experience. The resort that introduced the wonders of Costa Rica’s Guanacaste Province to an international audience of luxury travellers landed Peninsula Papagayo on numerous “best of” lists—where it still reigns. Newly transformed with a unique fusion of barefoot luxury. A new era of locally inspired, globally considered modern luxury has arrived at the first Forbes Five-Star Resort in Central and South America.  The first new residential offering at Peninsula Papagayo in over a decade, this new edition of wholly owned Four Seasons Private Residences on beloved Prieta Bay is the ultimate home away for those who know and appreciate the best. For a fortunate few, Peninsula Papagayo’s secluded promontories, mesas, bluffs and hillsides present passage to a way of life that exists nowhere else. Secluded amongst some of the peninsula’s most prized locales, you’ll discover an extraordinary collection of private homes offering unparalleled views and serenity. All surrounded by a protected 1,400-acre basecamp unrivaled anywhere in Central or South America. And quite possibly the globe. The next stages of Peninsula Papagayo’s evolution are made possible by a massive recapitalization and new ownership led by Miami-based Gencom. The first phase of capital improvements—totaling more than 100 million USD—signals the launch of a thoughtful 10-year plan to connect and celebrate the sprawling peninsula from end to end for the first time. Bringing an unprecedented new level of meaningful geo-luxury and transformational experiences to the Americas. Experience the evolution of Peninsula Papagayo—a world apart. from the ones who know it best—Peninsula Papagayo homeowners. A new enclave of oceanfront villas and estate homes, managed by Four Seasons and steps from two spectacular beaches. Learn more about the irreplaceable 1,400 acres that make up Peninsula Papagayo—one of the world’s most spectacular landscapes.